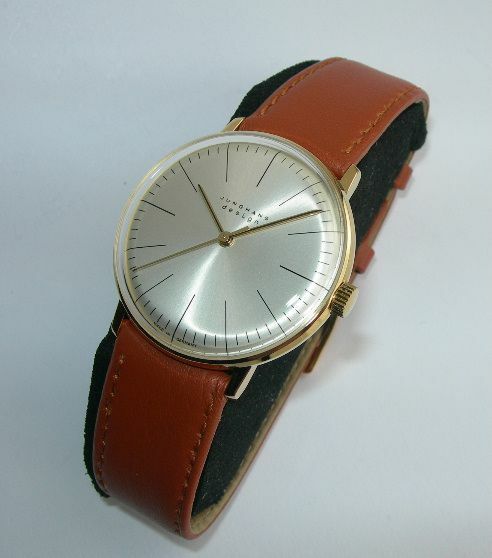 The Max Bill design watch is constructed true to form of the original Max Bill design watches dating from the 1950’s. Very little has altered apart from the fact that it is constructed today from modern materials in a modern environment, and of course with a modern movement. 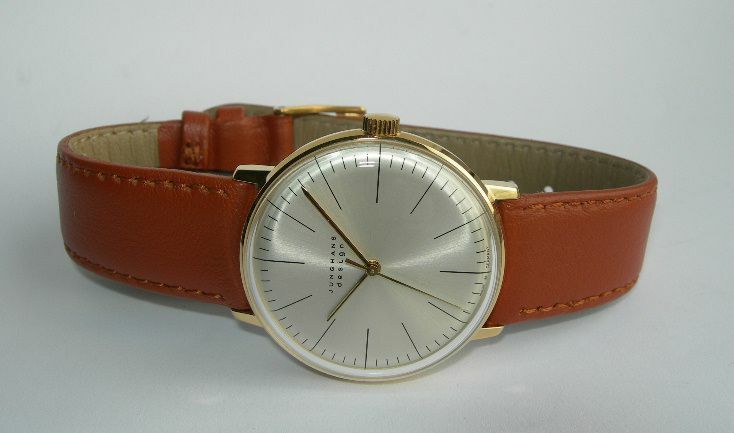 These factors make for an altogether more accurate, stronger and more reliable wristwatch. 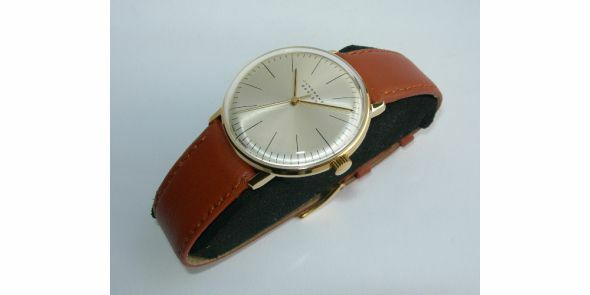 It is a classical design and looks like it has stepped right of the decade from which it was first introduced – and many watches standards were set by designs like this one. 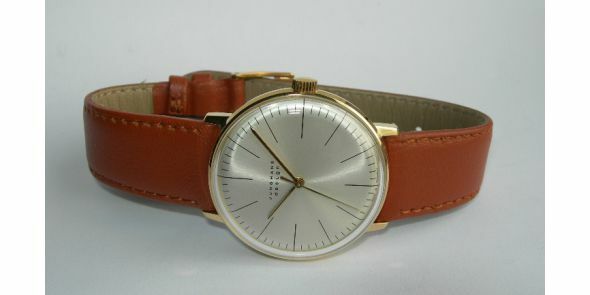 It has got a 17 jewelled Swiss made ETA 2801 hand wound movement. 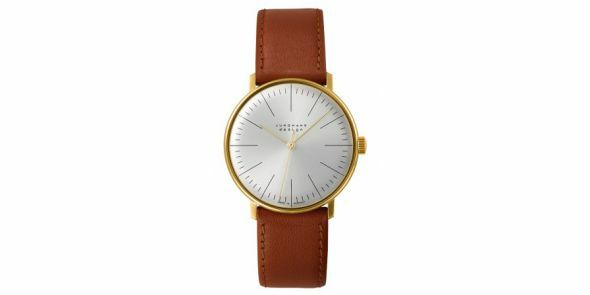 The case is gold plated which is slender and sleek in deign. It has a solid steel snap on case back which bears Max Bill’s signature. 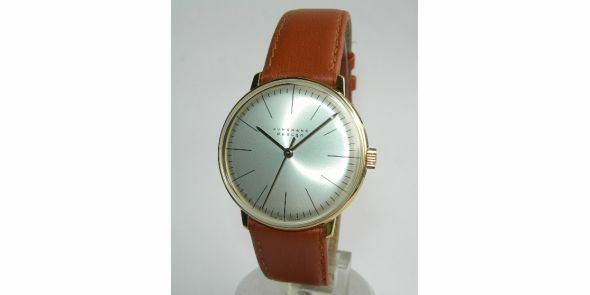 The dial is polished silver which is polished in a radial type effect. Long flowing lines a main design consideration, and the hour markers are long. 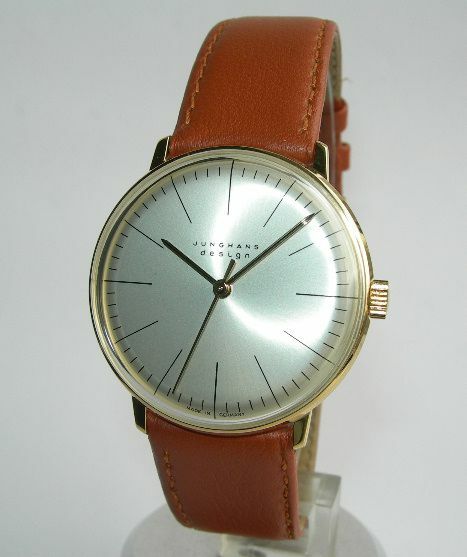 It also has long hands touching the correct points where the hour hand tips the hour markers, the minute hand touches the minute marks and the central sweep second hand follows the same line as the minute hand, just tipping the minute markers as it sweeps past. 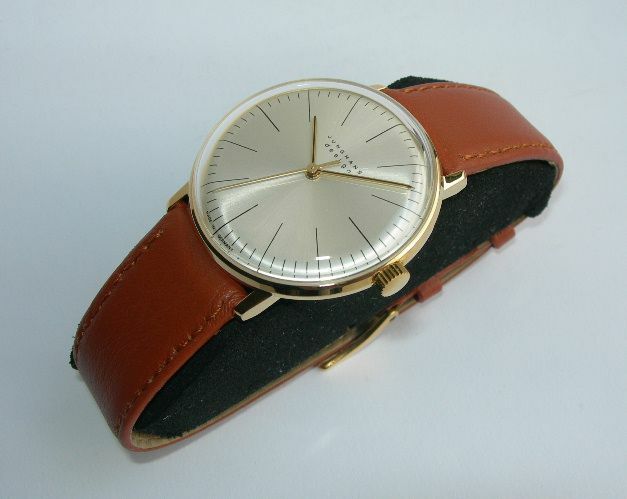 The dial markings are black and the hands are gold to match the case. 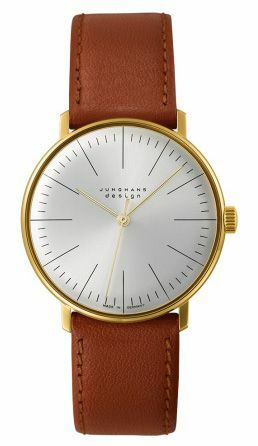 Has an attractive convex highly domed plexi glass acrylic crystal, which at some angles makes the dial appear slightly curved, creating an appealing effect. 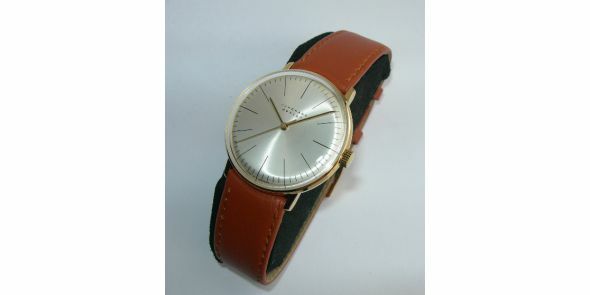 It comes on a good quality brown colour leather strap with matching gold plated pin buckle.